As for the why of the survival mode...Since last September we have had issues with Kaidrei being "sick" a lot. We thought it was just bugs going around the neighborhood kids, but she always had something and usually it involved vomiting. In a one week span, she threw up 8 times. It got to where it wasn't unusual for her to throw up - sometimes while being asleep. Coupled with this, Kaidrei had issues sleeping through the night. We've given her a bottle at night, taken it away, shut the door, left the door open, put a child lock on the inside of the door so she couldn't open it, slept on the floor next to her bed, eventually moved an air mattress in and slept on that (for over a month). We felt like we've tried just about anything to try and get some sleep. 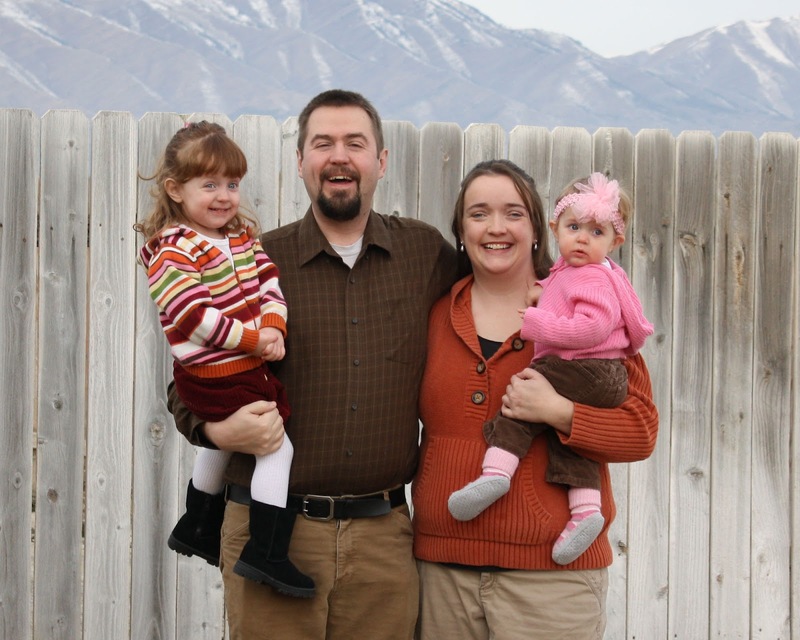 Most of the time she would wake up screaming, holding at her stomach and crying that it hurt. In December, I finally reached a point where I thought I was going to snap (okay, I'd already been there many times). I called the doctor to make and appointment and the nurse told me that she had some material I could read first. I just about lost it and told her off that I already had read everything I could find on sleep at a library or online and even Kaidrei's therapists were at a loss of what to try, instead I just insisted on an appointment. The doctor suggested trying an antacid and then if it didn't help in a month to go see a gastrointestinal specialist. So we did that and didn't mark-able improvement but it is hard to get a 2 year old to take a non liquid medicine. We also did some blood work including an allergy test which showed she wasn't allergic to milk, eggs, peanuts, or wheat. Things all came to a head in January when we couldn't get her to sleep or eat. We were getting up with her 8-10 times a night. Sometimes she would go back to sleep with a hug, other times she screamed for a long time. 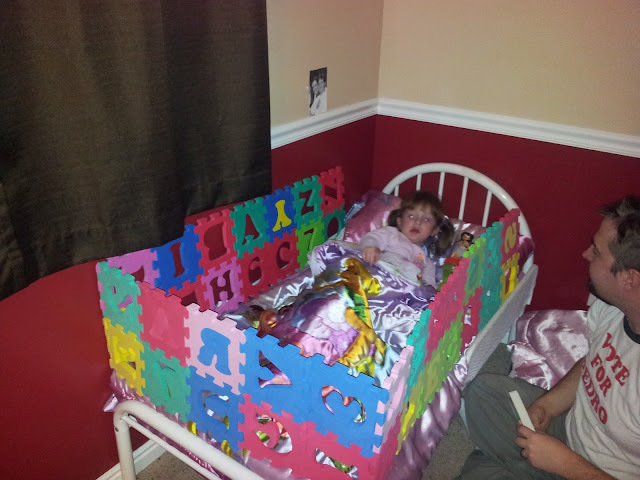 We moved Malea to her own room in case they were waking each other up, but it didn't seem to make any difference. 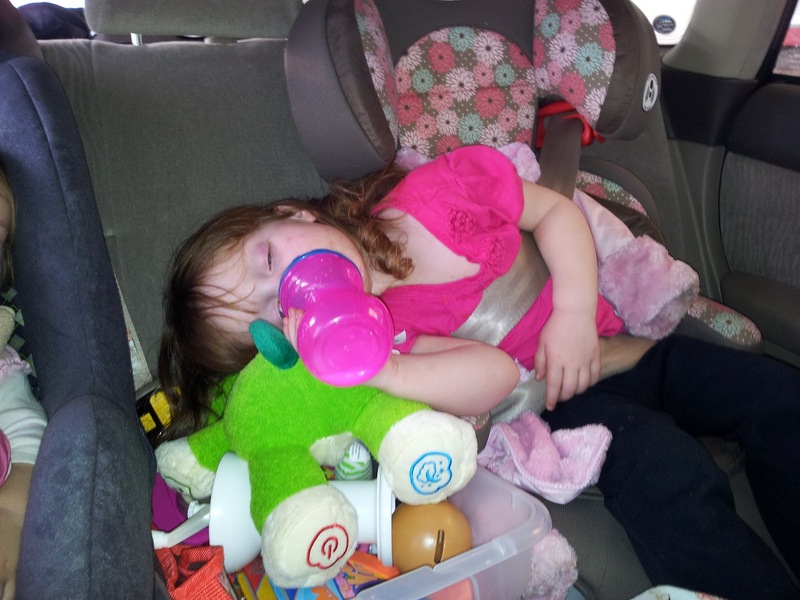 We tried eliminating naps, moving the nap time - no luck. There were days that she would eat a packet of fruit snacks and that was it for the entire day. 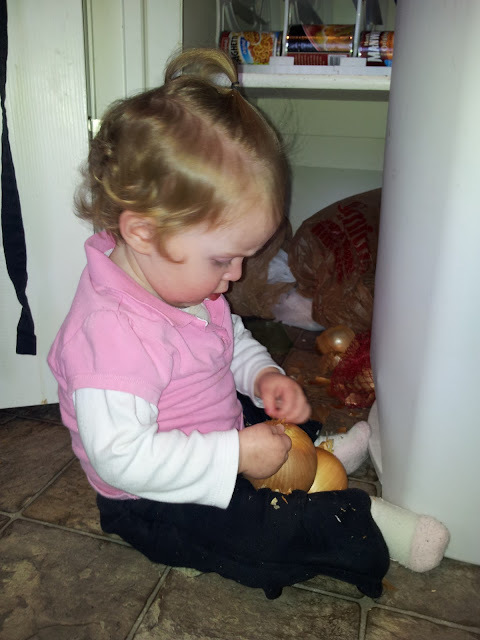 At this point, Kaidrei's occupational therapist suggested switching her off soy milk. (Kaidrei has been lactose intolerant from a year or less). So we switched her from soy milk to rice milk because we could still get rice milk in bulk at Costco. Her behavior and sleeping improved some, but she broke out in a horrible rash all over her chin and cheeks. Come to find out it was an allergic reaction to rice milk. In all this milk switching we found that the soy and rice didn't sit well with Malea either, so at this point, we switched to Lact-aid. The good news is that it has help remarkably with both the sleeping and the eating, but bad news is that it is about $6 a gallon for the generic that with both girls drinking it we go through a lot of milk. During the milk experimenting, I got an appointment with the GI specialist. The closest appointment was almost 3 weeks away, so we started an eating class through Kids on the Move (the Early Intervention program here and who are therapists are from). This class has helped so much! There are 5 kiddos in the class and each week they come and eat lunch together. They have set routines before the meal and during the meal they try 10-12 foods. Each week they introduce 3-4 new foods. They work on getting the kids to play with the food, touch it to their lips, and eventually eat it, but most importantly to make eating fun since it is "hard work" to the kids. We are now in week 10 of 12 and the change in Kaidrei's eating is remarkable. On Valentine's Day we went to the GI specialist. We talked a lot and had some more blood work done. Kaidrei was a trooper, but it was hard on both of us when they had to draw 5 vials of blood for the test. About a week later, we found out that she "isn't allergic to soy or rice", though we know it doesn't agree with her at all. The other test results told us that she didn't have Celiac's, that she had an elevated inflammation level in her body (could be in her stomach possibly), and that she had an elevated allergy level (this could be to food, animal hair, or dust mites). Because the levels were in the blood there isn't a good way to find out what is the cause or even where it is in the body. We could do a scope of her stomach, but the doctor was very honest that it may not result in anything. We decided she had been through enough at this point, especially since she had started eating more and sleeping a bit better. At this point she occasionally sleeps through the night, but usually is up 1-3 times a night on good nights. There are still bad nights. The particularly horrible nights now involves both girls being up. To say the least it has been a rough few months and even getting up 3 times a night seems like getting sleep now - which is so sad. We are just glad that most of the problems that were going on in Kaidrei's little body have been solved. It was so miserable to hear her say that her tummy hurt and not be able to do anything about it and to know that it was going to hurt the next day too. Kaidrei got sick this last week and vomited a few times and it took several days for her to eat again. I'm sure it is because she has come to associate vomiting with eating and she knows it hurts. Another plus, is that she has been so much happier in general which makes everyone so much happier. We had a great Christmas. Brian's parents came out and spent a few weeks with us and we had a great time. The girls loved it. (We've been thinking lately they need to come back because Malea was so happy when they were here and she has been grumpy the majority of the time since. I'm sure it is due to other things also, but still.) While they were here we worked hard and got part of our basement finished and laid carpet down in half the basement to make a playroom. 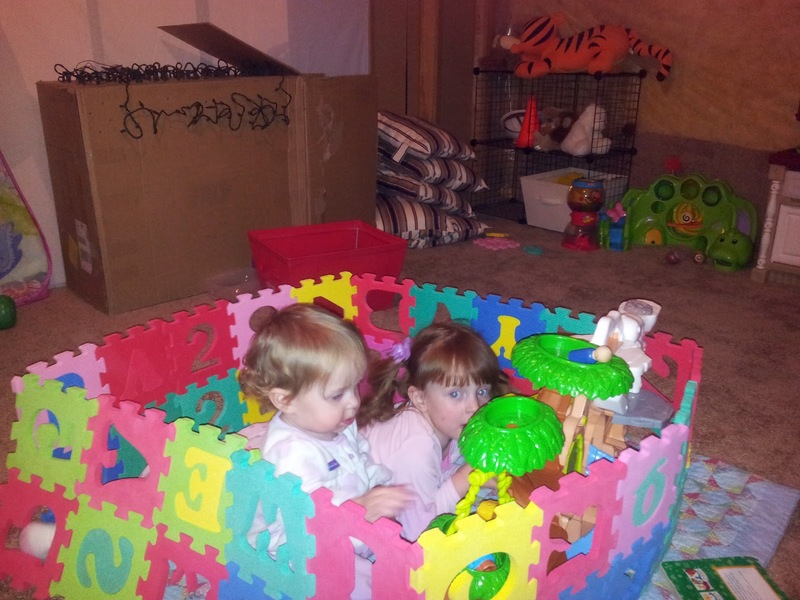 Which I am beyond grateful to have - it is so nice to have a space where the girls can run around and pull out toys. 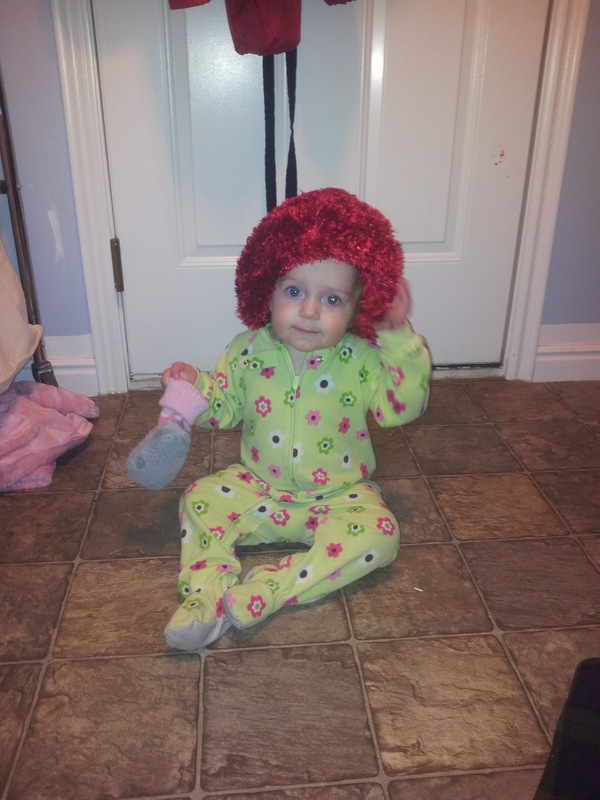 Malea turned 1 on December 20th. 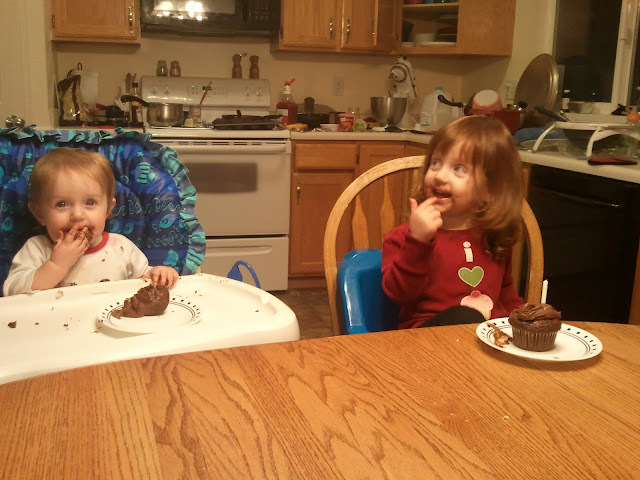 We celebrated on the 18th with dinner and cake with some friends and family. It was a fun day, but things didn't go as planned. As I was pulling the breadsticks out of the oven I hear Brian call out from the couch (with Kaidrei on his lap) to grab Malea she's going for the stairs. Before we know it there is the sound of a bowling ball going down the stairs. I got to the top of the stairs in time to see her roll like a little ball hitting every step and landing on her head at the bottom. This took place maybe 30 minutes before the party started so she wasn't too much in the partying mood. She did enjoy all the commotion and friends. Her presents were a hit with all the kids there but she didn't venture much from my lap. On New Years' Day, we started a new tradition of having a Family Birthday Party. Really it amounted to having cupcakes (because Kaidrei wanted to have a birthday cake) and watching a movie together. I really was a great evening and we all enjoyed it. Maybe next year we'll do something a bit more exciting. Also in January, I decided I was going to loose weight...along with most of the world. I'm excited that after almost 3 months, I have had some success. I have lost 21 pounds, 17 inches from around my body, and several pant and dress sizes. Now my problem is that most of my pants fall off with very little help from little hands! I guess sometime soon I'll have to go shopping. I think it is the first time in my life that I have actually made good progress with the same resolution that I make year after year. I'm still working and hope to lose another 15-20 pounds by the end of the year. I'm trying to just keep doing what I'm doing and not getting frustrated with the plateaus. February and March have brought some more business trips for Brian. He is doing so well they keep sending him. It is a blessing that he is doing great, but we miss him so much while he is gone. The first weekend in March, we celebrated our 5 year anniversary. I can hardly believe it. I don't know where the time has gone and I love my life. I have the most wonderful husband ever! To celebrate we spent the weekend in Salt Lake, while my mom stayed with the girls. It was nice to be away and get a full night sleep, but I missed my sidekicks. There aren't many times that they are away from me...Malea especially. Kaidrei is Daddy's girl, but Malea is definitely Mommy's girl! Kaidrei discovered building houses out of these foam letter puzzle pieces. Unfortunately it was Mom and Dad doing the building and her pulling them down. They eventually got hidden so we could have a reprieve. She had a ton of fun with them though and insisted one night on having her "house" on her bed before she would go to sleep. I had a doctor appointment this morning and we had time to kill because we went early to take Brian to work. 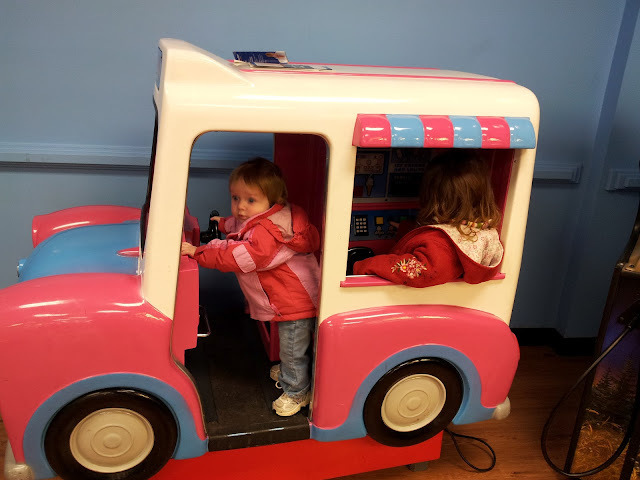 So after stopping at Walmart to return something we played in their arcade area. 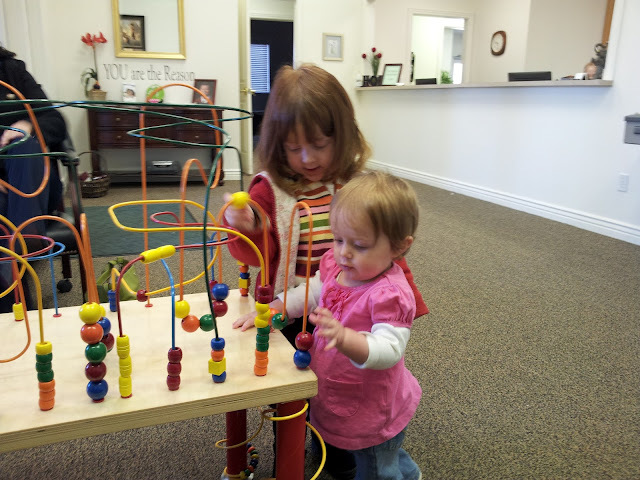 Playing in the waiting room...this was actually after the appointment was over because there was no wait before. This bead table was just too much fun to not take a few minutes to play! 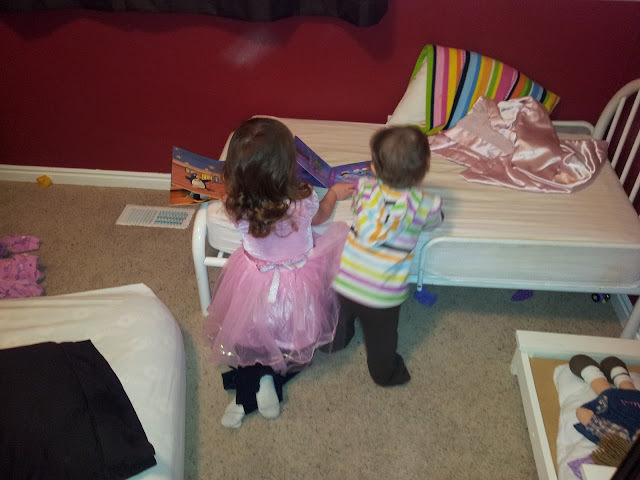 I came in to find Kaidrei reading "Goodnight Gorilla" to Malea...and reading it right. 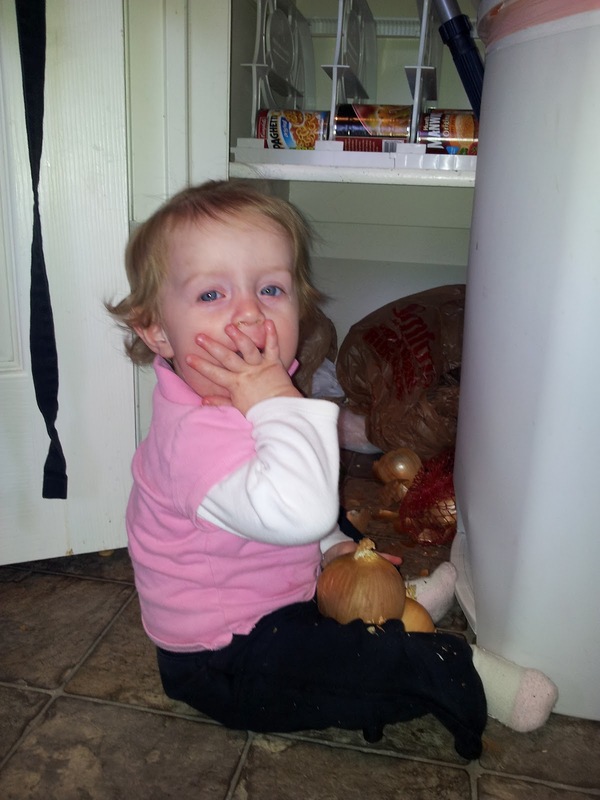 Malea discovered the bag of onions in the pantry. Apparently they are very good fine motor skill practice. 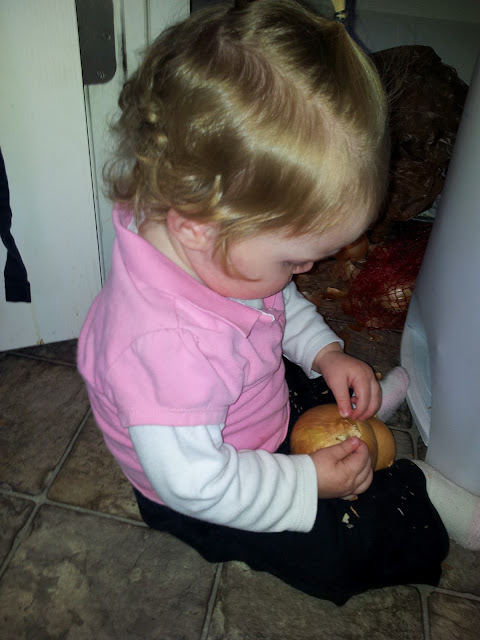 As she peeled multiple of them....and the onions are no longer stored there. 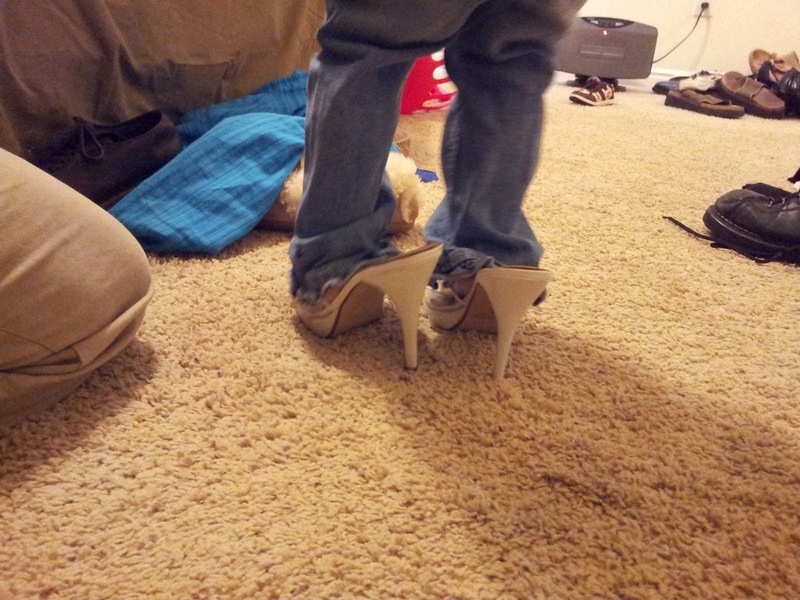 Kaidrei decided to wear my heels on the day I pulled out all my shoes to sort through them. Malea loves to color and draw. I took these pictures because I couldn't believe how she is holding the marker. 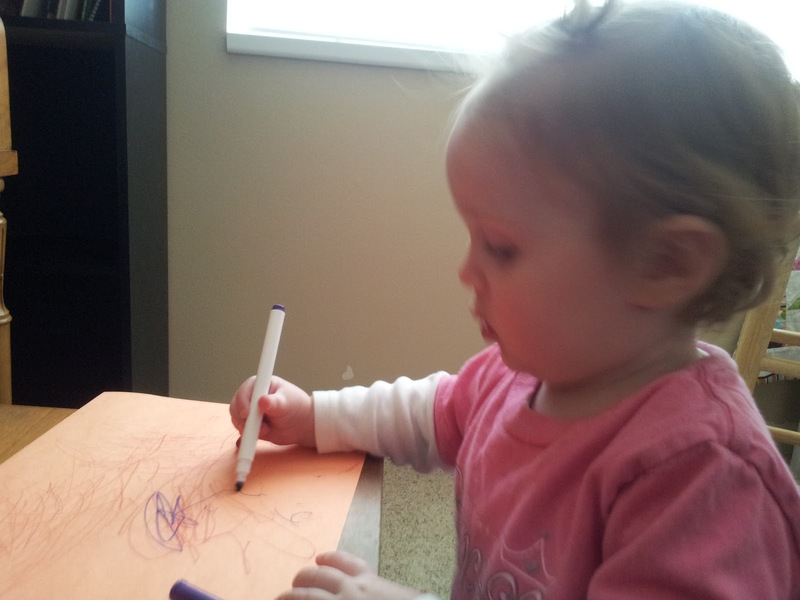 Time after time she will pick up the crayon or marker and then rearrange it so she is holding it properly. It just came naturally to her...but I'm still shocked by it. After a long day in the car, driving Daddy to work, then home, then to class, then home, the to get Daddy, and come home again. LONG DAY! 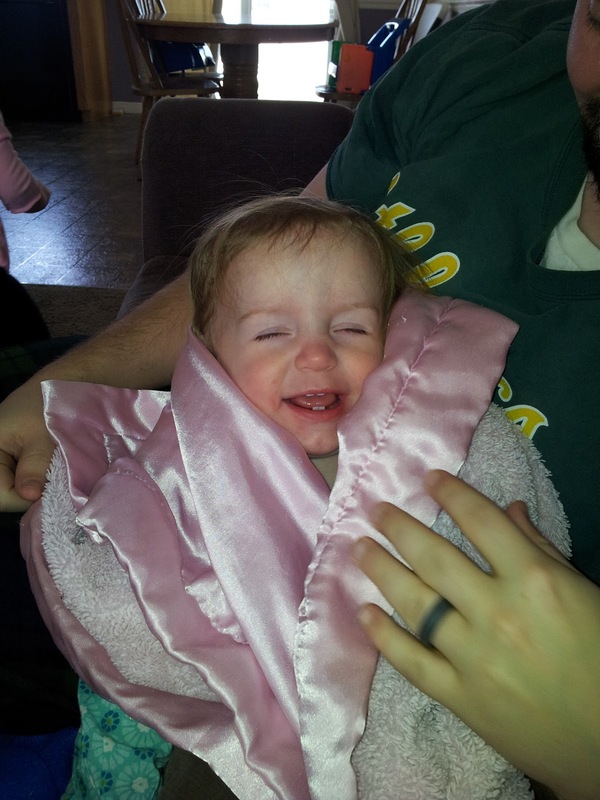 Malea "smiling" because she knew I was taking a picture. 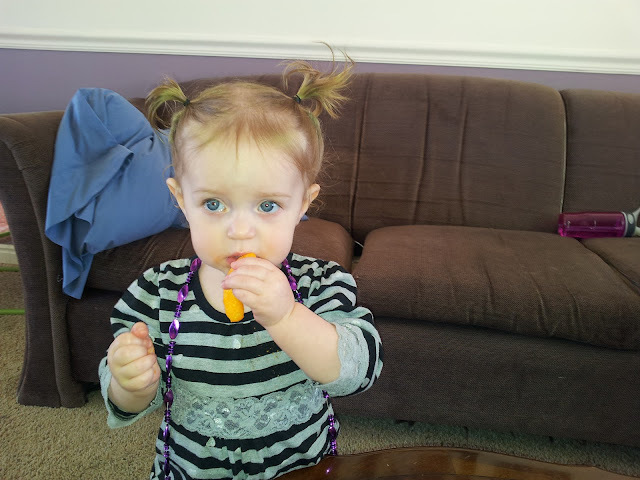 Malea's Hair is finally long enough for pig tails. She usually has one in each hand when she is tired! 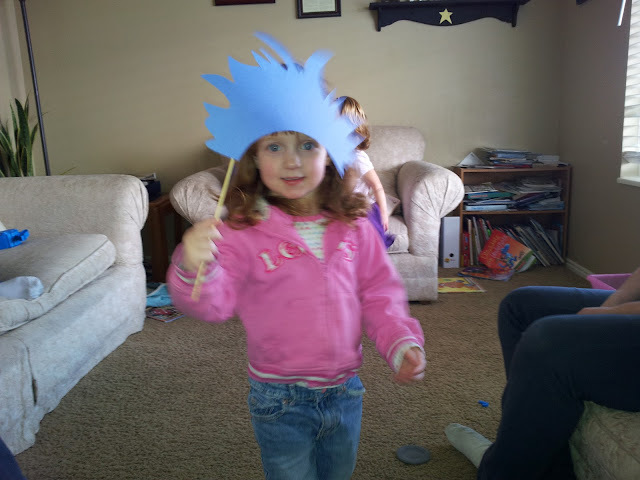 We celebrated Dr. Suess's Birthday with a party at our neighbors house. We read books, went fishing, and colored pictures. 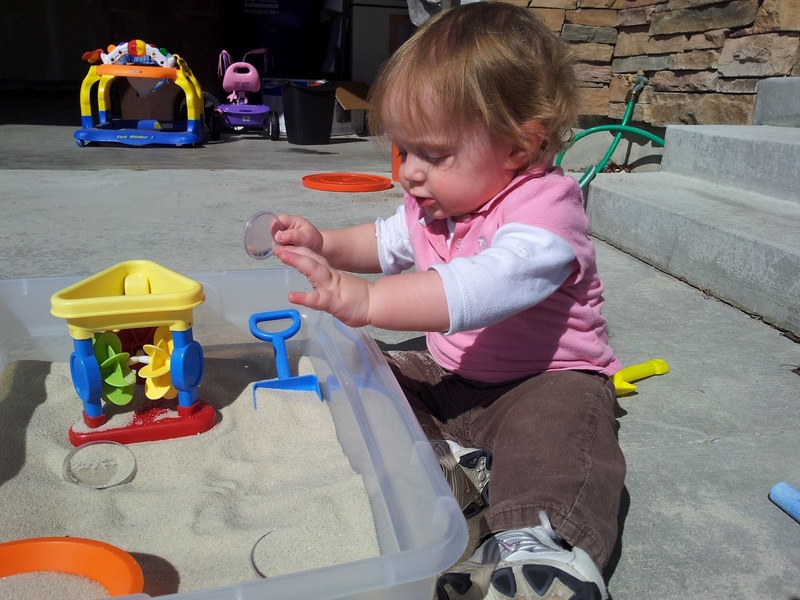 We have had some really nice days outside so we pulled out a mini sand box to play, along with chalk. Kaidrei was off to visit the neighbors...whether she was supposed to or not! I found Malea with a hat on and shoes in her hand at the garage door. 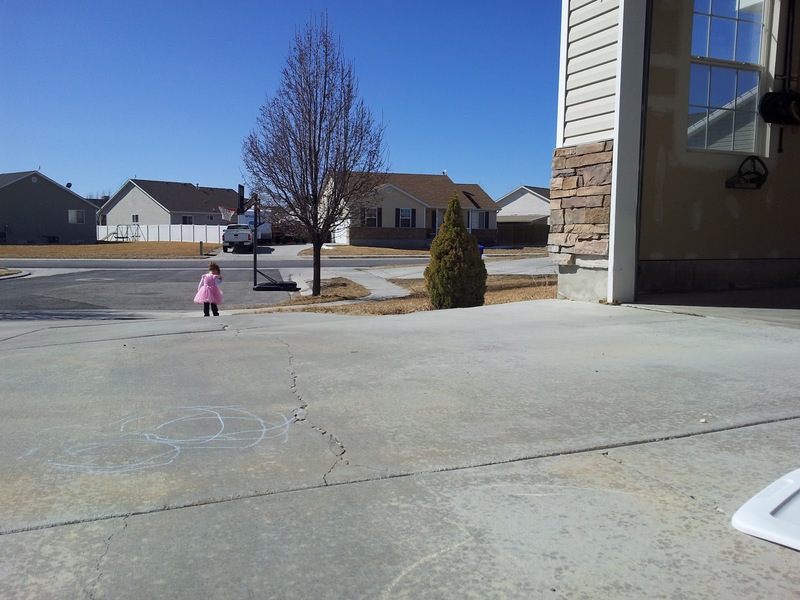 She wanted to go outside and find Kaidrei who had gone to preschool. She wasn't happy to wait the 30 minutes until it was time to go get her, but was elated to see her. Malea loves Kaidrei and if Kaidrei isn't awake when Malea gets up from her nap she will usually fuss and cry no matter what I do until we go wake up Kaidrei. 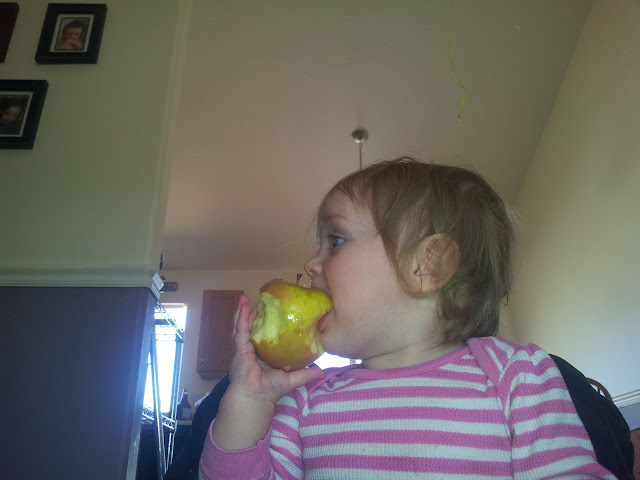 Malea only has 6 teeth right now, but it didn't stop her from eating an apple just like her sister did. 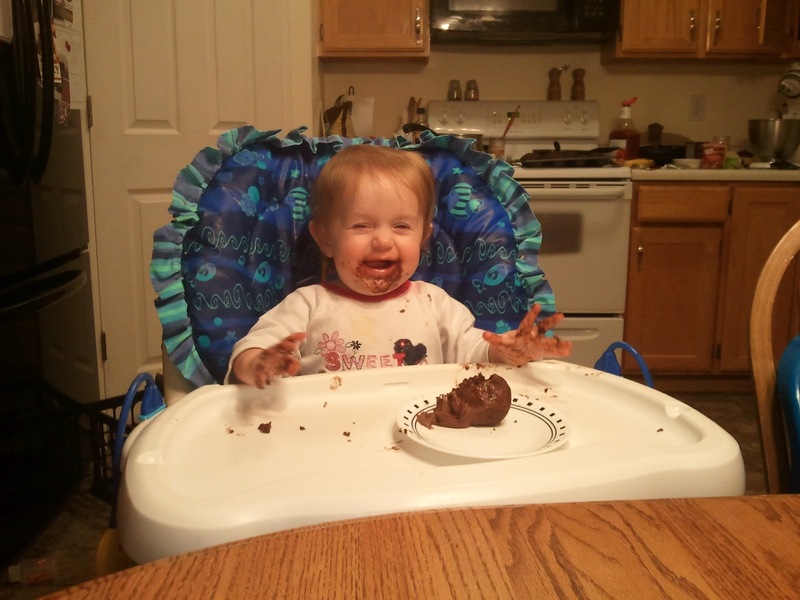 She doesn't like being sticky. Making sugar cookies for Santa on Christmas Eve...it was also what Kaidrei had for breakfast Christmas morning. Christmas morning....Kaidrei was so excited to see a new Tricycle from Grandma and Grandpa Nyman. Malea just wanted to continue her normal routine with milk before anything else. 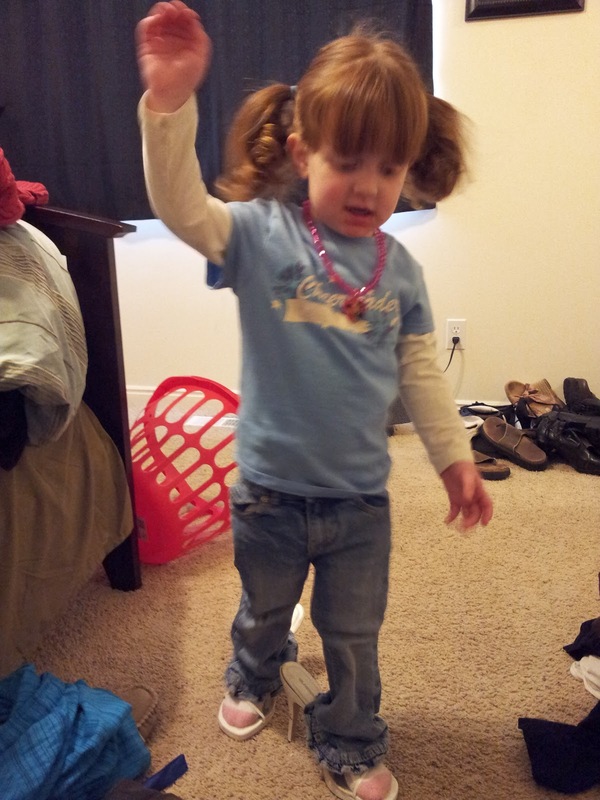 Kaidrei got this princess dress and slippers for Christmas and this is what she ended up wearing to church. We figured she had a dress on and it wasn't worth the battle on Christmas...either way she is so cute! After Church, Malea fell alseep in the midst of playing - I think this is the only time I have ever seen this happen....EVER. While Malea slept, Kaidrei danced with Daddy! Especially in contrast with Maleas look of concern. Washing down the cake with milk while watching a movie. 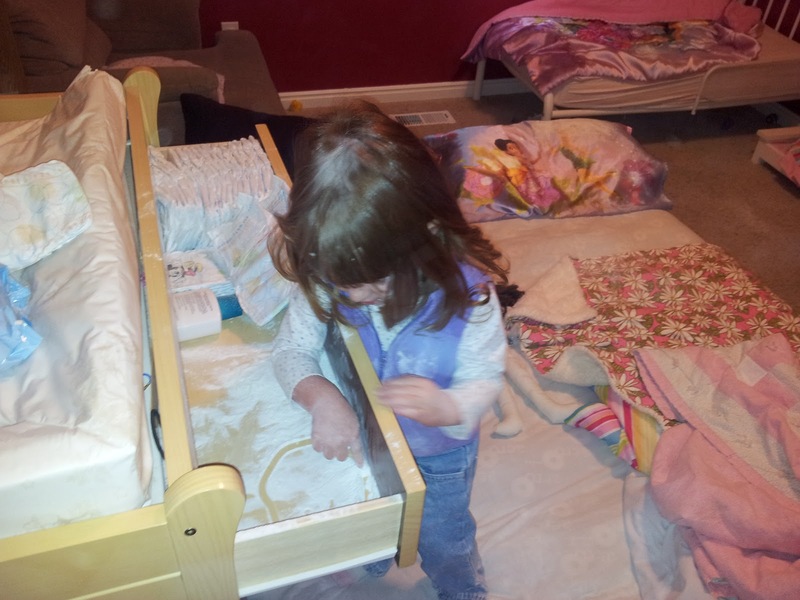 Note to self....Malea would rather hold the bottle of paint than actually paint. She doesn't like paint on her fingers. 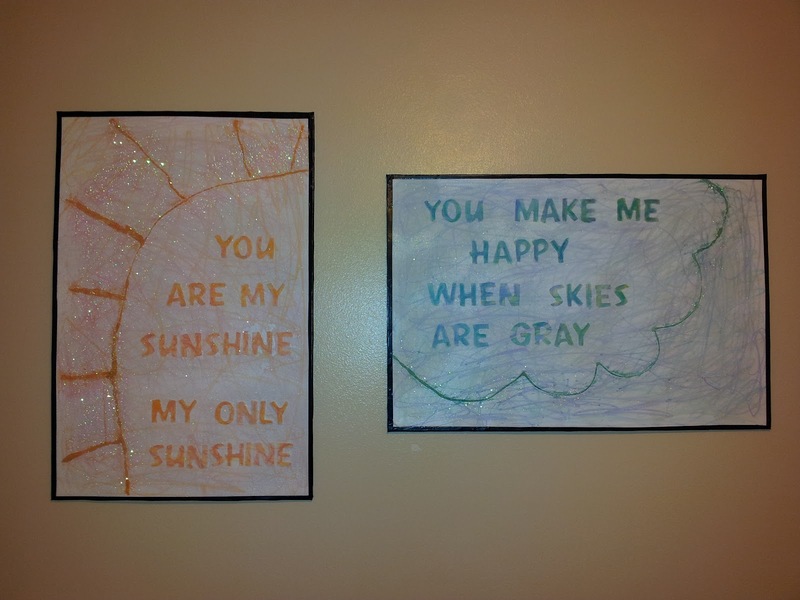 The finished "finger painting" project....which in a long story made short. This took 4 attempts because the foam board kept bending when the paint dried or the paper would peel off. 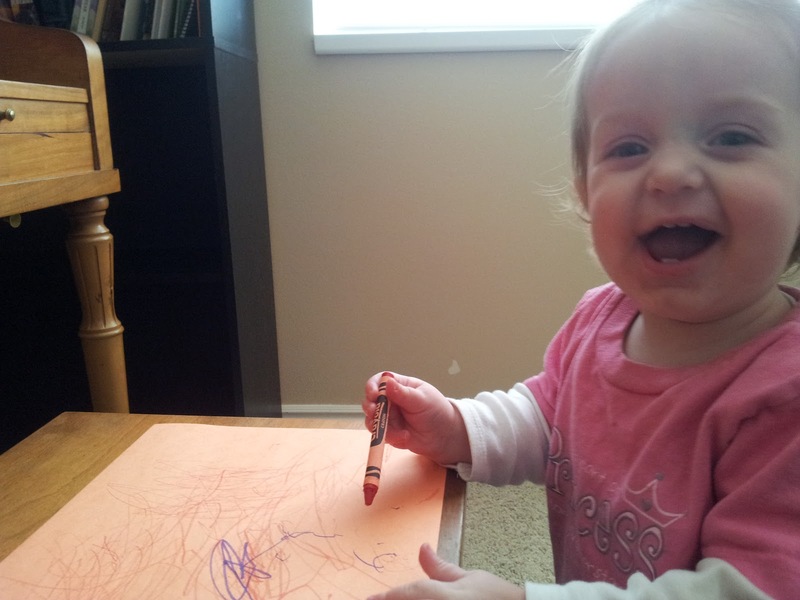 So the final one was markers scribbled all over which Malea enjoyed much more. 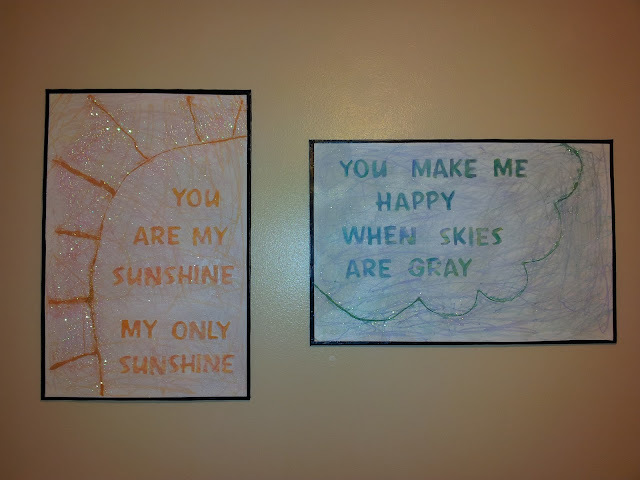 Sadly I forgot that spray paint eats away foam, so it is an interesting project, but after so many tries I was determined it was going to be on the wall even if it didn't look great. The bottom line was that the girls had fun helping - they probably had more fun than me - and that despite someone else doing it online and following them step by step...some things just don't work! We did the letter I for preschool, so we went ice bowling. We froze water in a balloon then cut the balloon away and had a nice ice ball. 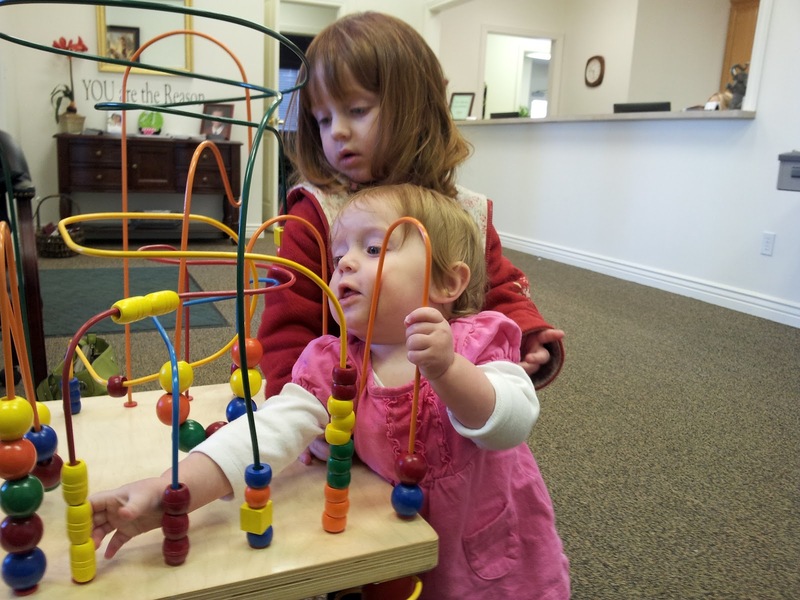 Both girls played with them for a long time after preschool ended. A cutie all ready for a ride. Hope you enjoyed the update if you made it through it all! THANK YOU!!! WE LOVED IT ALL!! GRANDMA AND GRANDPA MISS YOU!